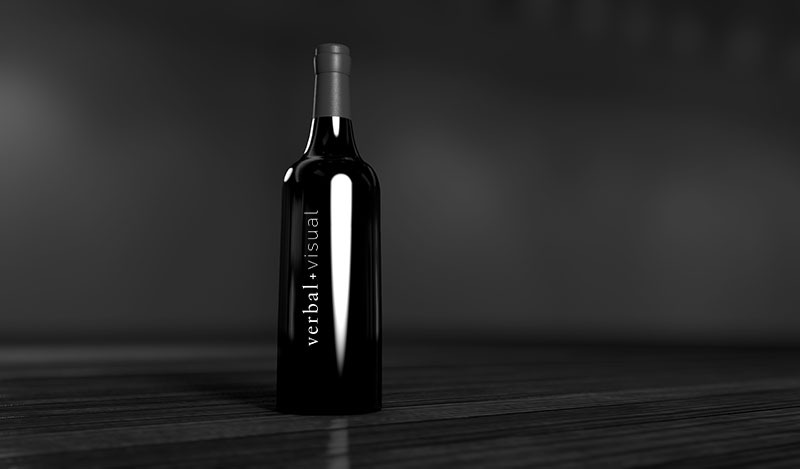 Verbal+Visual- Made in the U.S.A.. How much does it matter? The conversation around supporting companies and brands creating products in the United States is not new, but it is one that has grown in popularity among consumers as of late. The perception of purchasing high quality, well crafted products while also having a hand in keeping American manufacturing alive are a few reasons why these products are appealing. As part of our event series here at Verbal+Visual, we were interested in diving deeper on this topic. We hosted a fireside chat with Bram Robinson of Upstate Stock, a brand manufacturing American Made products for sale internationally that also gives a home to other American Made brands in it’s retail locations. It is true that oftentimes products produced in the United States are ultimately higher quality products, but there are a lot of reasons for this. For one, having manufacturers within the United States allows companies to keep a closer eye on the end to end process of manufacturing and ensure that the quality of production is at the highest level. 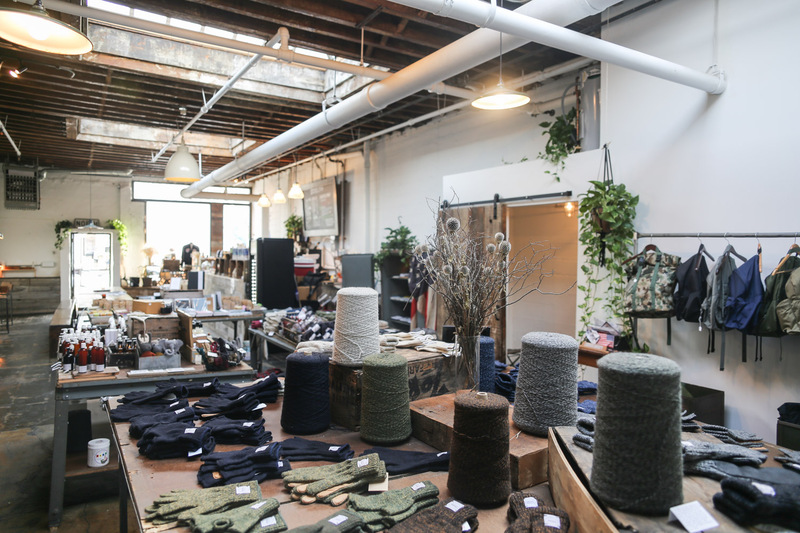 In the case of Upstate Stock, they have partnered with a factory in upstate New York that has been making knit accessories since 1946. They are still using some of the same machines that were used back then. Using these somewhat out dated machines makes for a very unique product with that handmade, artisan essence that you just can not get overseas in factories that are using very different processes that take the human element out of the production. It is important to note that creating a product in the United States does not guarantee higher quality than manufacturing overseas – it is up to the company to ensure that no matter where the production is happening it is done in line with the expectations of that company. That being said in a Consumer Report survey conducted in 2015, 8 in 10 respondents said they prefer to buy American-made and more than 6 in 10 said they are willing to pay 10% more for products made in the U.S.
One of the less attractive aspects of creating a brand focused on American made products is the cost of creating those goods. It is often true that manufacturing products overseas is a much more cost effective method of production due to the cost of labor. Cost also becomes an issue as there is such high demand for the manufacturers that are stateside simply because there are not many of them left. If a company needs a high volume of product created quickly it is much harder to do in the States. 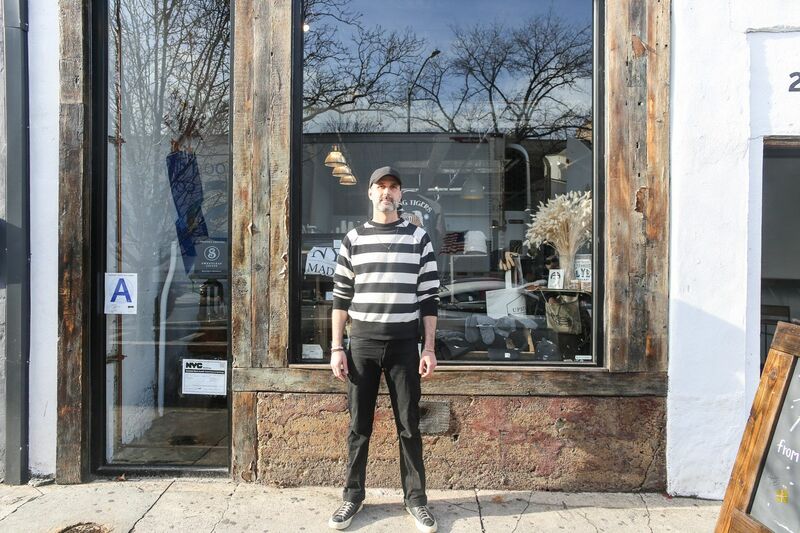 Bram did mention there had come a time early in the start of Upstate Stock where he looked into manufacturing his knits overseas and while the cost benefits were there, due to the unique process of creating his knits, there was simply not an equivalent manufacturing option elsewhere. While actually creating a product made in the USA is one challenge, telling the story of that brand is another challenge. 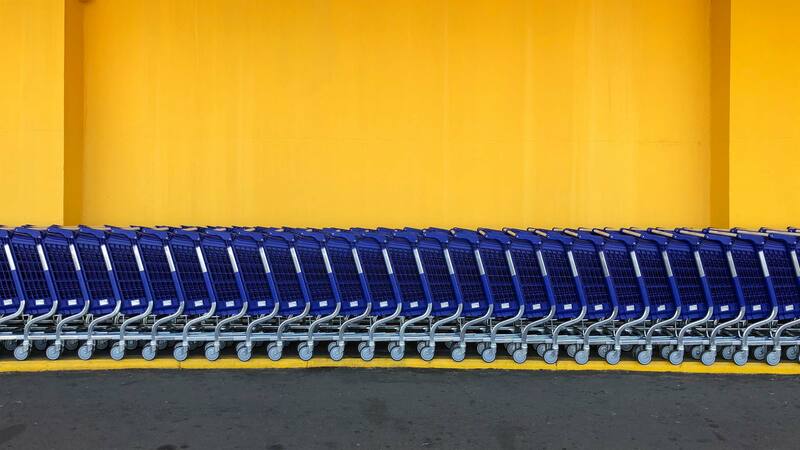 How a brand chooses to highlight its production practices is a choice that goes a long way in ensuring consumers understand the value of the product and the story behind that product. 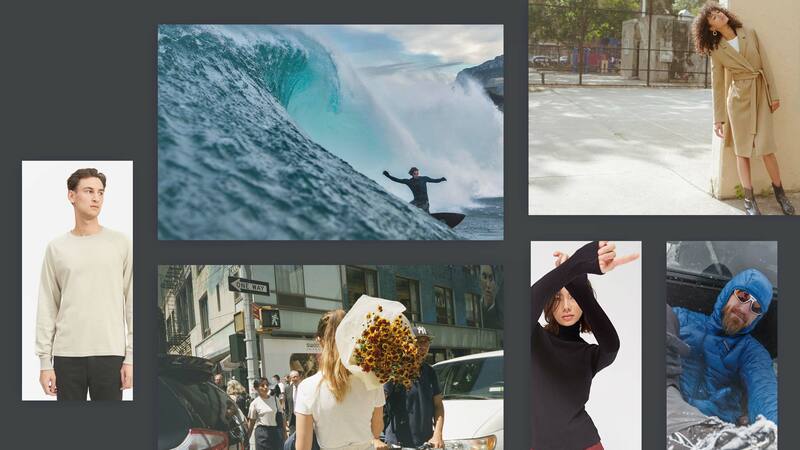 There are many methods and channels to be able to share these stories, but it is vital that a brand has a cohesive message when it comes to how the Made in America element fits into the brand story. Bram mentioned how his team struggles to craft content and messaging around their story. This is not due to a lack of content, but the opposite problem. There is so much content that it is often times hard to decide what to focus on and how to highlight cohesively across channels. Here at Verbal+Visual we recently worked with oomph Home and it was a primary goal of the redesigned site experience to highlight how all products are handmade made in the United States. This was done with video content, additional asset and supporting content surrounding each of the factories and ongoing email drip campaigns to customers containing interesting stories about the workshops and craftsmen creating these one of a kind products. All in all it was a wonderful evening learning more about the challenges and unique opportunities those brands have that focus on creating products that are made in America. American designer Bram Robinson is a veteran of the fashion industry; having worked in it for over 10 years. Tired of the declining quality of clothes made abroad, Bram embarked on a venture to create Upstate Stock, a company which seeks to prove the impeccable quality of American manufacturing. 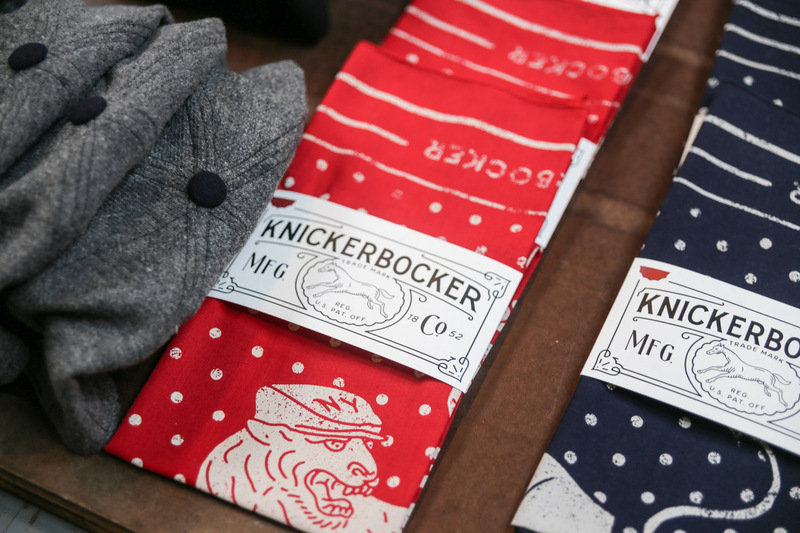 A successful Kickstarter campaign gave Robinson capital to continue his passion, partnering with a family-owned factory located in upstate New York to produce a slew of knitted goods. The company has now diversified its product range including, but not limited to candles, apothecary and other leathered goods. Above features the entrepreneur’s Essentials, which include a variety his own products, as well as a pair of jeans from Canadian compadre Naked & Famous and a Klaxon Howl leather bomber jacket. 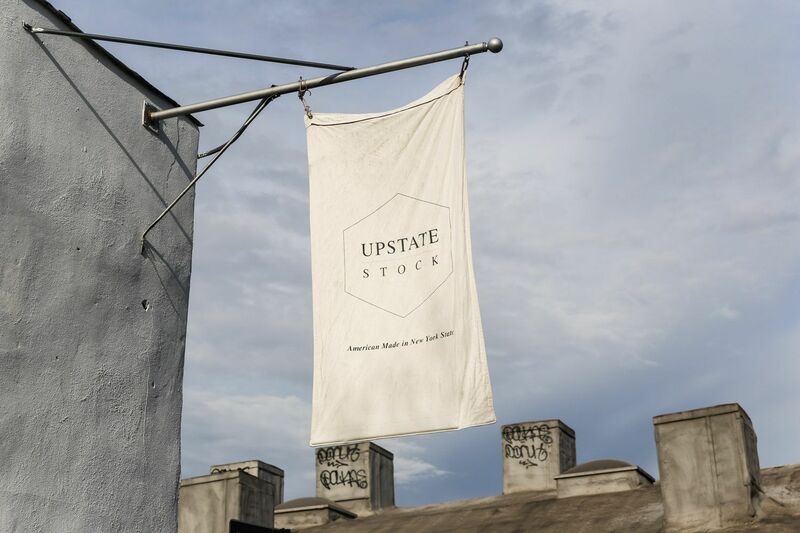 Head over to Upstate Stock and Robinson’s Instagram to stay updated with the label or visit the website at upstatestock.com. Also a special thank you to Impact Hub NYC for allowing us to use their space for the event.